To receive SunTv Package broadcast signals, you need Dish and Decoder ( Digital Box ). 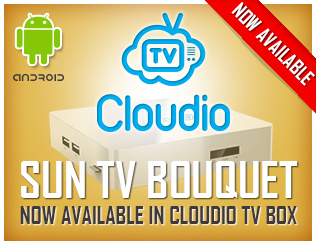 Sun Tv and KTv are available on Eutelsat Eurobird 9A Satellite which is positioned at 9° East. Eurobird 9A's transponder provide coverage across Europe, Middle East and the Meditrainian costal part of North Africa . For further technical details on the Set-top box, please click here for the manual.